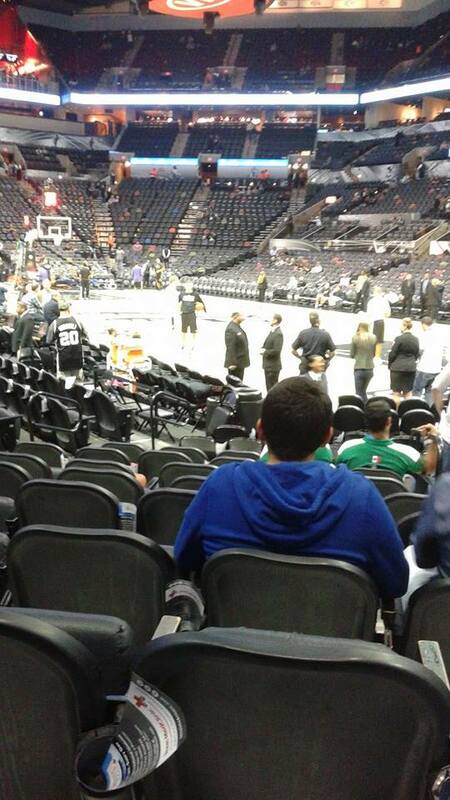 Recently I went to a Spurs basketball game and was lucky enough to get a seat right down front. What a different view from the one you get in the nosebleed section. Anyway what intrigued me was the men who were on each corner of the court plus several standing on each end of the court. The security men in black suits. Men In Black! All kidding aside, I couldn’t help but to watch every time one of the teams called time out how these few men got up from their seats and made their way to their particular station to stand guard. No smiling, no turning their heads from side to side, eyes straight ahead watching the crowd. Mentally, the writer in me, was writing a story about the Men In Black. How they were on the look out for one person who had sent threatening letters to one player. Etc., etc., etc. You get the picture. Wow. We are SO related, Sandy. That’s exactly what I would have been doing/thinking. Maybe we could co-write this story! LOL! I sure miss you, my friend. Hey Donna, maybe we could get together and write that book! I couldn’t stop watching them. I wanted to go down and talk to them after the game but hubby wanted to get on the road before everyone started leaving. Oh well, guess I’ll have to make an apt to meet with one and question him to death!